Many of the lingerie company ads that show up on in the news feed break the rules far more than 90 percent of my images. Yet, small boudoir businesses are receiving these results when trying to boost an ad. The images chosen are always less provocative than the lingerie companies ads, yet still, they are flagged. 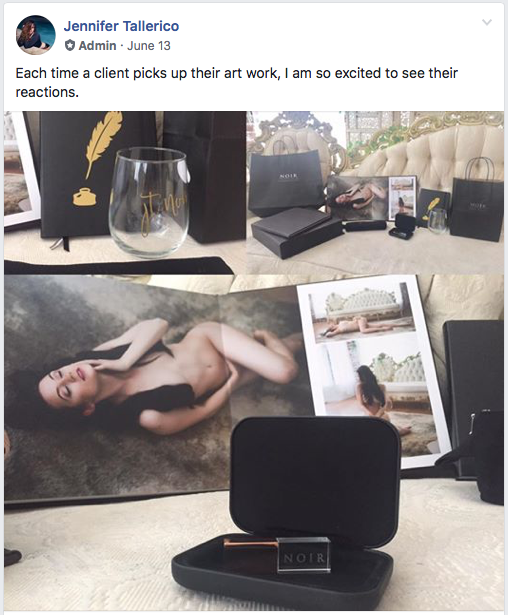 While there are many boudoir photographers who tempt the Facebook police by showing extreme images, the majority of this genre show nothing more than a Victoria's Secret catalog image (which in fact does get the ad approval). So while fighting the fight to understand what is considered approved versus breaking the rules, creating VIP groups has become a solution to get your work in front of your desired clientele. Facebook pages are great if you move around the world shooting or teaching workshops. They reach further on the globe mainly since likes do not need to be approved. Photographers from around the world can appreciate your work, and if you are in their city, perhaps even take your classes. This works well for many pages; however, for boudoir, where ads are being denied most of the time, having a local group of clients is a great solution. 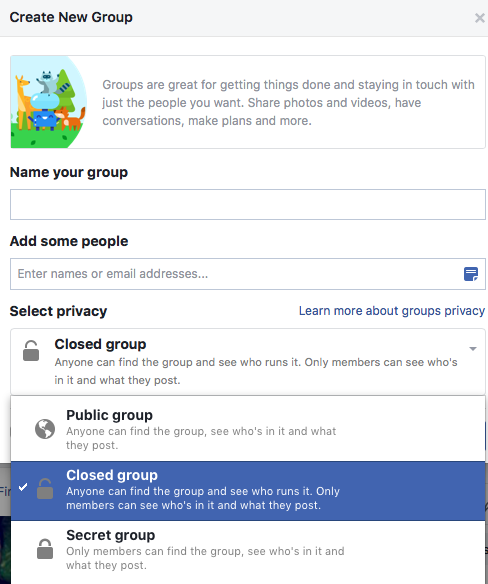 A VIP group can be closed or secret. The algorithms work a bit differently on how many people are being reached with each post. On average, I find my group to have more engagement, more reach, and more possibility of leads than my page ever had. Some VIP groups grow to have more people than followers on pages; however, these people are all possible clients and not photographers. On pages, many of your likes will be fellow photographers, which does not always translate into clients (they can into workshop attendees, but this article is geared to those who teach minimally or not at all). Currently, my company's Facebook page reach and engagement is fairly low. After looking into where the engagement originated, it was found to be out of the country and in areas I have never worked. This will not bring income in the long run, and efforts here are not worth even attempting to run ads any longer. The page is kept alive with images of the work, but once I made the move to create a group, the payoff was well worth the change. The change happened about a year ago and the growth in the group is positive everyday. Visitors must ask to join the group before they are approved. This keeps trolls, lurkers, or any other sort of interesting internet people out of the group. It creates a safe place for my clients to ask questions, show off their own sessions, or talk in general. You can create a group and start it with a current client, who then will invite their friends to join. On your personal page, you will find the create tab in the upper right corner. Then you can create it to be closed or secret. Even at the height of my efforts on a Facebook page, I still did not get the engagement that a group could bring. In a group, the comments and likes are from current, past, or potential clients only. Since the start of a group page, income doubled in one year. This was well past any efforts into Facebook pages or Instagram. Posts in groups tend to be more interactive with the client. I can ask them to post their favorite image from their session in the group, and the response is more effective than if the question was asked on the business page. It is important to remind your client that while the group is closed, this does not mean the images are 100 percent protected. It is still the internet, and if they have any reservations about having their images seen, it would be best not to post or sign a model release at all. With that said, the group still has more clients willing to share a model release (for the group) rather than on the website or open social media pages. 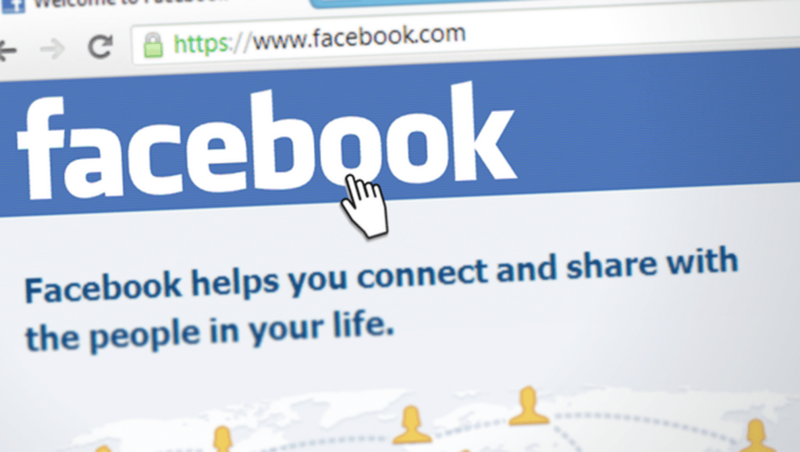 New content will be shared to the members more effectively and consistently than it would on a regular Facebook page. There are plenty of articles on algorithms out there if you would like to catch up on the whys, since they do seem to change often. Posts that get the highest engagement are those that ask questions or polls. Other areas are when you remind clients of the products you have in the studio with visuals. I post a few times a month images of orders going home to the clients (only those with a model release). The time I receive the most calls or emails is when posting about the limited spots left in the year. It reminds potential clients they need to plan ahead. I start posting those in June, and by August, I am booked solid until the end of the year. It is a simple post usually with an image. It gets the point across that the studio does book months in advance, so those sessions need to be set as a date prior and not two weeks before the holiday. Making this group a VIP gives the feeling of exclusivity, which clients appreciate. The group members wll get first looks at new products, sales, or events before they go onto the business page. This boosts interest knowing that they have first chance to get a date booked. There are so many ways groups will help your company reach more clients even if you are not a boudoir photographer. 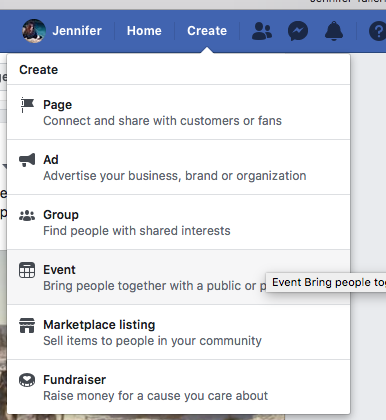 The benefits are not having to post ads to get more reach as you do with pages. There is large success for many with ads and pages; however, groups have worked well for my company and hopefully will for yours as well. Good idea! My fb business page is nearly dead because of the algorithm and I was thinking about creating a fb group to boost interaction and interest. This article came in very handy, thanks for sharing!